1. The newest Android 8.1Oreo system, high-end Rockchip processor of 2GB RAM, Octa Core & 32GB ROM, more smooth and faster processing speed for running applications. 2. High quality radio IC: NXP TEF6686, with better reception; Built-in TDA7851 amplifier IC; Support subwoofer audio output and control it separately; Screen Resolution: 1024*600; Support 4K(3840×2160 pixels)/1080P HD video; Support mirror link function, you can use your smart phone's online GPS to mirror on this unit; Support DAB+ function(optional). 3. car gps multimedia for Ford Focus 2019 supports GPS Navigation, pre-install Google map(without offline map data); Support output almost everything to the headrests, even it play the video from USB/SD card, or online You tube video; Built in USB Port/ Micro SD Slot(up to 128GB), WIFI(Built in WIFI modem)/4G internet(Extra device required); Support reversing camera(Extra device required). 5.TPMS: Perfectly connected with this head unit with simple installation, the TPMS reports real-time Android 8.1 auto multimedia player for Ford Focus 2019 tire-pressure information via a pictogram display or a simple low-pressure warning light to help you save fuel consumption, extend the tire life, decrease downtime and maintenance and increase environmental efficiency. The early recognition of the malfunction of tires provided by TPMS can avoid traffic accidents to improve safety in the whole process of driving. 6.Backup Camera: It adds a backup camera for automatically switching to the parking Android 8.1 auto multimedia player for Ford Focus 2019 image while reversing. 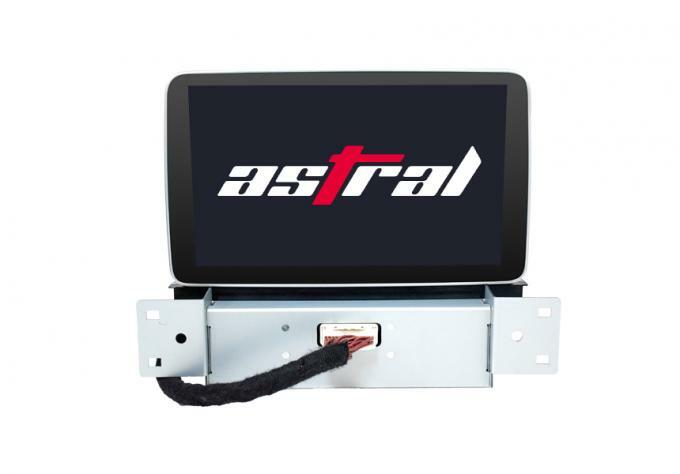 This option includes a waterproof and night vision backup camera which will be mounted to the position of your car`s license plate lights and the cables for its connection. The default rear view camera is wired. If you need the wireless one, please send a note us after placing order. 7.Bluetooth: It upgrades your car with BC8 Bluetooth module for hands-free Android 8.1 auto multimedia player for Ford Focus 2019 calls and music streaming. With voice coming out from the car speakers, you can dial, answer, reject and mute calls without taking your hands off the steering wheel. Its phone book function enables you to search for contacts directly on the big screen of the head unit. 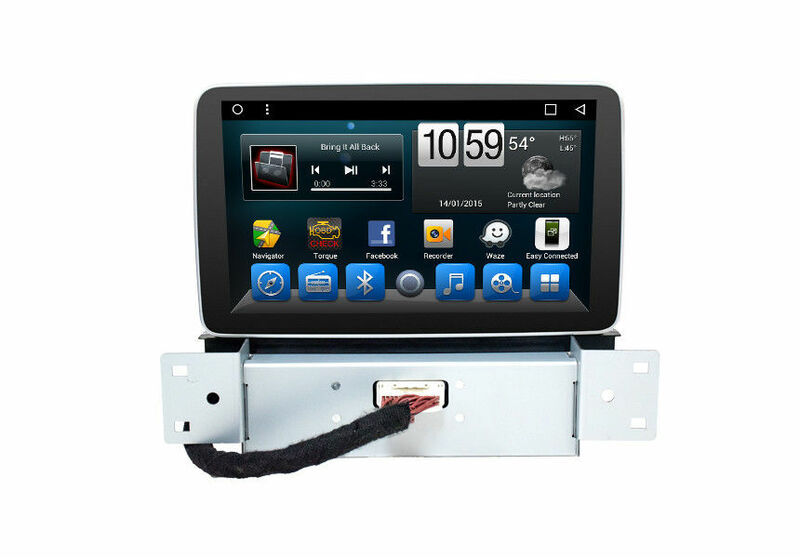 The capability to stream your favorite tunes from the Smart phone wireless is also desirable. An internal microphone is included for distortion-free talking. 8.DAB: Short for digital audio broadcasting, DAB as an advanced digital radio technology Android 8.1 auto multimedia player for Ford Focus 2019 for broadcasting radio stations integrates a number of features to reduce interference problems and signal noise. With high-quality sound, it offers more radio programs over a specific spectrum than analogue FM radio. Besides, DAB can not only automatically tune to all the available stations, offering a list for you to select from, but also provide real-time information such as song titles, music type and news or traffic updates. It`s the best choice for radio lovers and music enthusiasts.